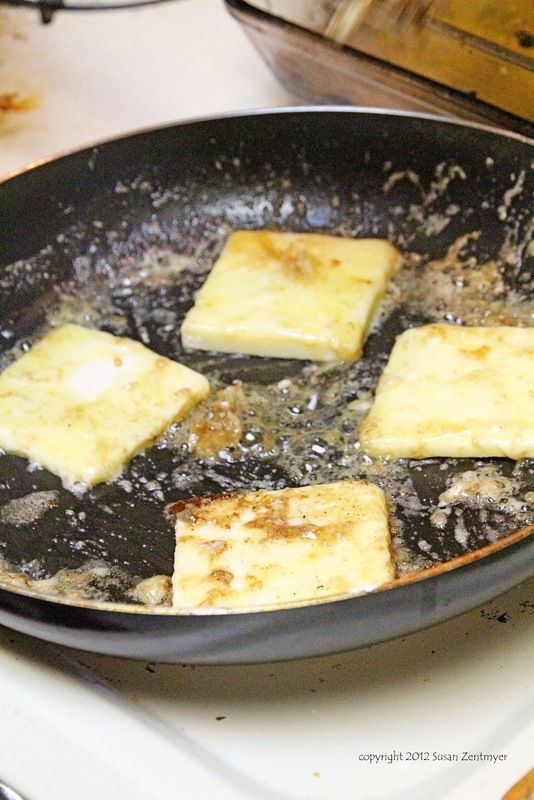 Greek cheese slices are fried and flamed. We had it first this past summer at a Troy's, a local Greek restaurant, served with fresh pita bread. And wow was it amazing. Like a sophisticated grilled cheese sandwich. But better. I found several recipes and adapted to match what we had at Troy's. Cut Kasseri cheese into 1/2-inch slices, allowing about 4 ounces for each serving. Chill slices in ice water. Pat dry and dust with flour. 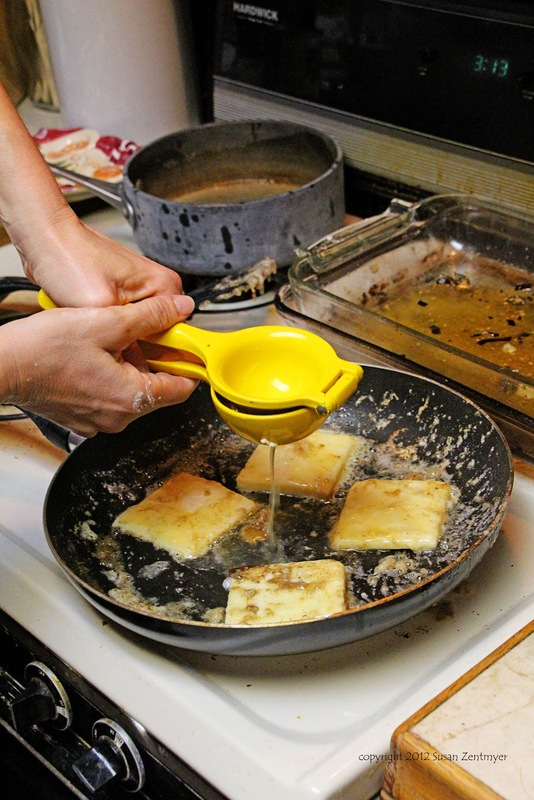 For each serving, melt 3 tablespoons butter until it sizzles but does not brown. 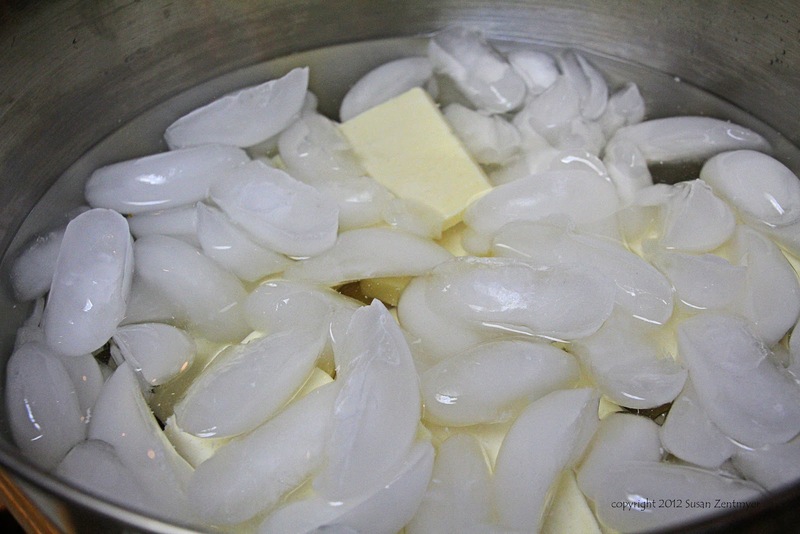 Add cheese slices and saute quickly on both sides. Do not overcook or cheese will melt and stick to pan. 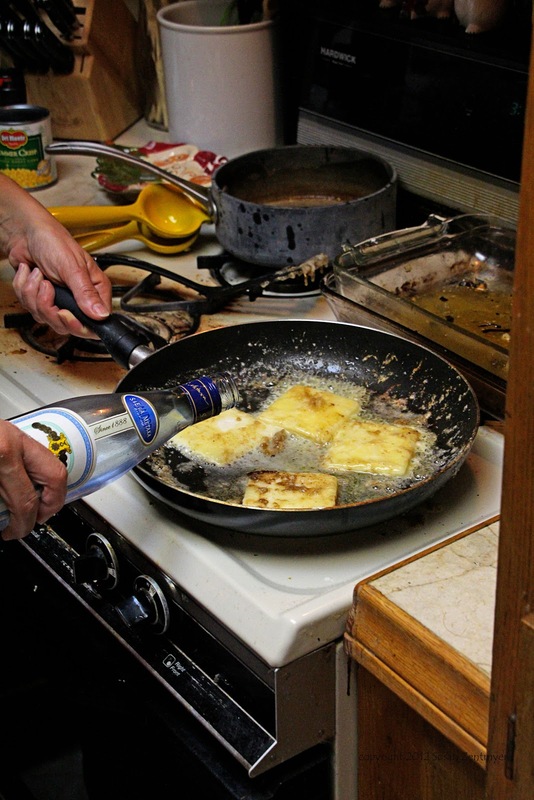 For each serving, squeeze juice of 1/2 lemon into skillet and sprinkle with a few drops of Ouzo. Ignite. 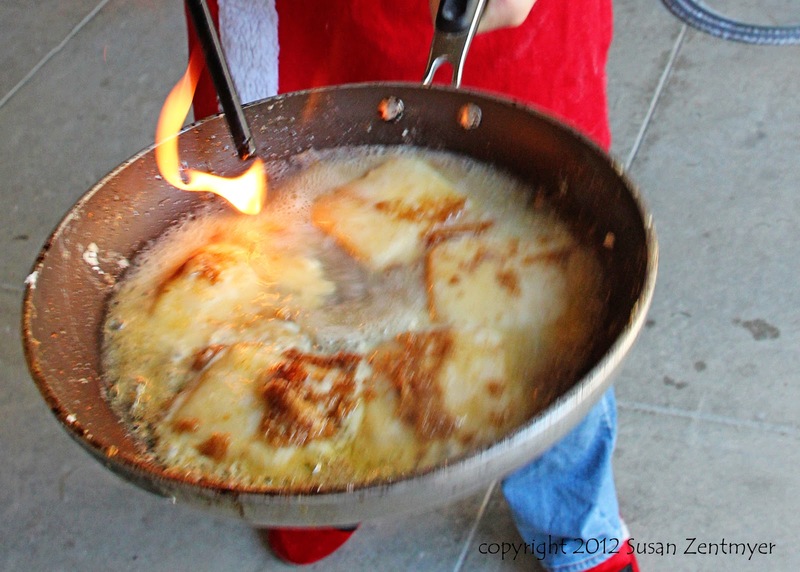 Serve cheese with fresh hot pita bread when flames die down. Note: Kasseri and Kefalotere are hard Greek cheeses which can be found at most Greek or Middle Eastern grocery stores or gourmet food shops. Good Provolone or Mozzarella can be substituted if you cannot find Kasseri or Kefalotere. You'll note that I don't have any pictures of folks enjoying this because it literally went too quickly. This is a pretty fun and impressive dish (who doesn't like a dramatic presentation?!) and is wonderfully rich and delicious. 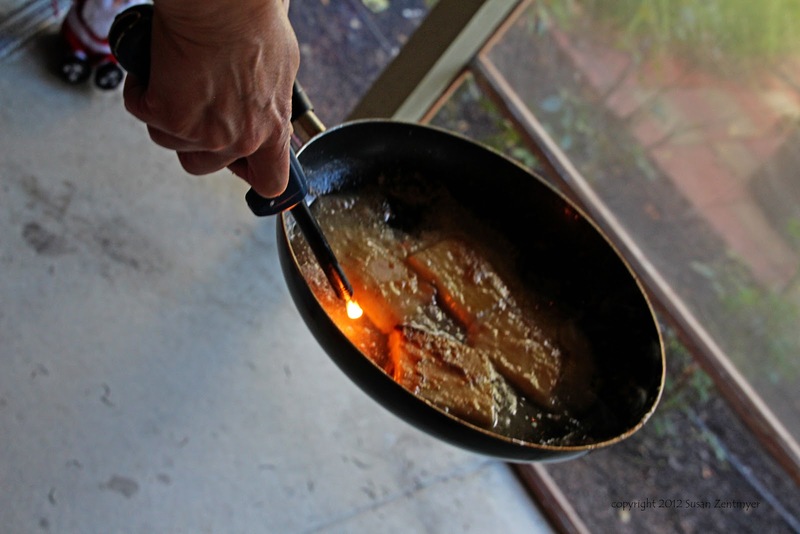 Give it a try the next time you are serving Greek food or just the next time you are in the mood for a really good version of a grilled cheese sandwich! Ooo! Sounds so good. I have to try this! Thanks and Happy New Year!